An oximeter is a sensory device that is placed on a part of the patient's body, usually a fingertip or the earlobe, or if used on an infant, it is placed across the foot. It measures the level of oxygen in a patient’s blood by using a photodetector. A healthy body should not fall below 95% oxygen saturation and oximeters can detect a change of about 1%. They are used to diagnose the chances of a person being affected by hypoxia. The device works by passing two different wavelengths of light through the body part to a photodetector. Then it measures the changing absorbance at each of the wavelengths, allowing it to determine the absorbance levels due to the pulsing arterial blood alone, excluding venous blood, skin, bone, muscle, and fat. The different levels determine the different amounts of oxygen in the blood. 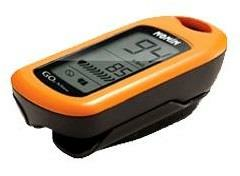 What are the Advantages of an Oximeter? 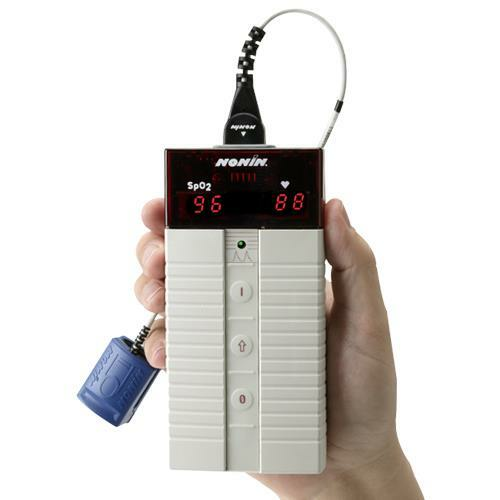 Oximeters are very feasible for patients as they do not require any kind of surgery or extraction of blood. The only method is to place the device on the body part. They are cheaper, and hence are preferred more by medical practioners around the world. 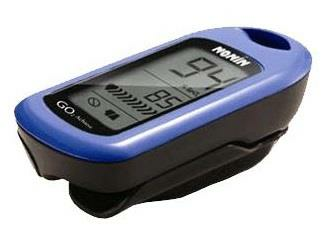 The non-invasive propery of oximeters makes them so acceptable around the world. Some of these can also measure the carbon dioxide levels in the blood to determine the chances of gaseous poisoning. It is also widely used by mountaineers and athletes who need to measure their oxygen levels to determine how much more exertion can they put on the body befor the oxygen levels drop and the body gives in. 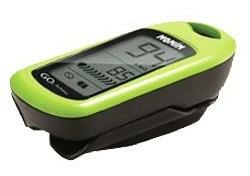 What Should an Oximeter Have? Firstly it should be precise and should warn the user if there is any kind of hindrance while checking the oxygen levels in the blood. Secondly it should have the capability of alarming the patient when the oxygen levels drop drastically so that necessary action can be taken at the right time. Last but not the least it should be durable and should have a good battery life. What if My Child Uses One? Pediatric oximeters are widely used nowadays and are usually placed in the fingertip. They come with special marks to indicate where the child should put the finger. They have special animal or nature shapes on them that do not let the child feel they are using a medical device. They are softer in terms of grip and look less like an intimidating medical equipment and more like an enjoyabloe tool. They can be easily used by the parent and help in maintaining the health of the child. The Nonin GO2 Achieve 9570 Finger Pulse Oximeter - It is an ideal oxygen and heart rate monitoring companion while you exercise. It is compact and easy-to-use. The display and finger placement are designed for the results to be read by the patient. 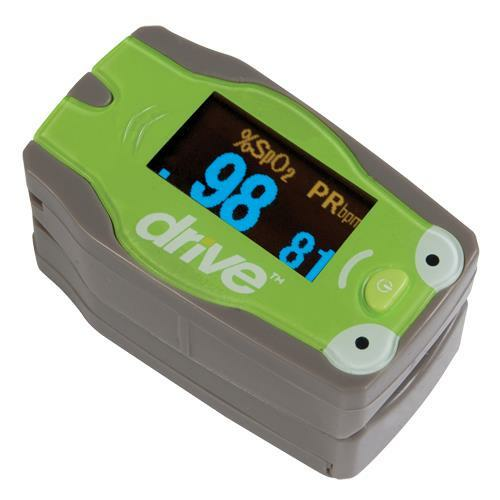 The Drive Pediatric Pulse Oximeter - It is a portable non-invasive device intended for spot-checking of oxygen saturation of arterial hemoglobin (SpO2) and pulse rate of pediatric patients in hospitals and hospital-type facilities. It is simple to operate and convenient to carry. It is highly recommended for children. 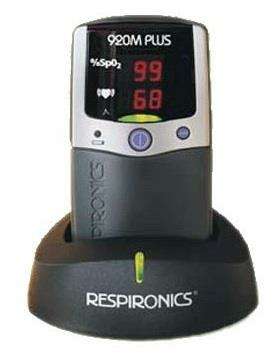 The Respironics 920M Plus Hand-Held Oximeter with Memory - It provides on-the-spot oximetry readings and is designed to be easy to use for both healthcare professionals and patients. It comes with a bigger display, better performance and a 72-hour memory. Its soft, rubberized cover slides away for easy access to batteries and may be used with a wide variety of finger and ear sensors for adult, infant and neonatal patients. 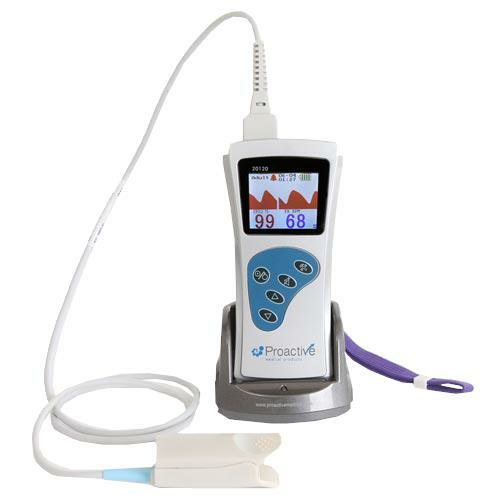 The Proactive Premium Rechargeable Handheld Pulse Oximeter - It gives accurate readings in a durable unit that you can rely on, patient after patient. Convenient waveform display option helps you better assess the condition of the patient. The Nonin 8500 Digital Hand held Pulse Oximeter - An easy and accurate assessment of oxygen saturation and pulse rate from adults to neonates, it features bright LED displays and easy three-button operation. It is designed to be efficient and economical with unbeatable battery life of 100 hours. The Nonin 8500 Digital Hand held Pulse Oximeter - An easy and accurate assessment of oxygen saturation and pulse rate from adults to neonates, it features bright LED displays and easy three-button operation. It is designed to be efficient and economical with unbeatable battery life of 100 hours. Choosing the right pulse oximeter ensures the correct measurement of oxygen levels in your body and thus helps you assess what kind of precautions you should take if there is a complication or ailment that might affect your in the future, based on the readings of the oximeter.